Authority Health › Diet & Weight Loss › Are Forskolin Weight Loss Products Effective? 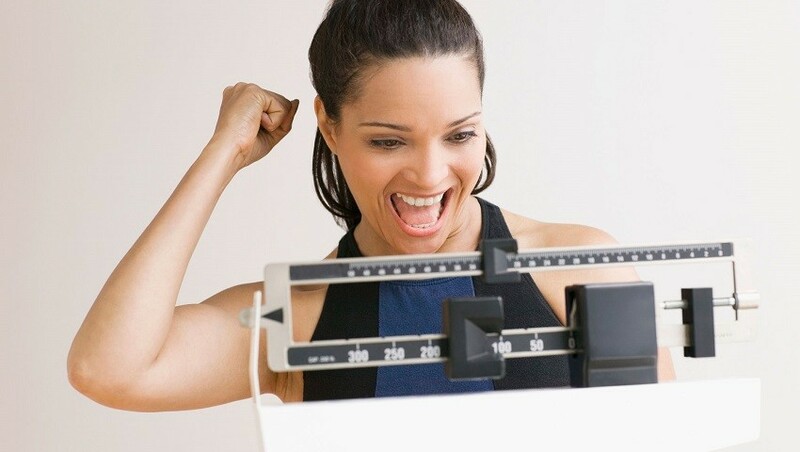 While some weight loss secrets are whispered among friends, there are others that are gaining international recognition for their ability to help you shed those unwanted pounds. One not-so-secret weight loss supplement is forskolin, which has gained huge traction within the mainstream media since 2014. However, there has been some debate surrounding the proposed performance of this supplement and whether or not forskolin weight loss products are, in fact, effective. In this article, we shall use various articles, scientific studies, and forskolin reviews to examine whether or not you should be taking part in this weight loss craze. Derived from the Coleus forskohli, which is otherwise known as Plectranthus Barbatus, forskolin is extracted from the tuberous roots of the tropical plant. A member of the mint family, the Coleus forskohli is found and cultivated in many places such as India, Nepal, and Thailand. It has been used for many years in traditional Ayurvedic medicine, a 3000-year-old holistic healing system, to remedy a variety of ailments such as high blood pressure, chest pain, and respiratory disorders like asthma. Some may say that the association with Ayurveda has a positive connotation towards the purity and efficacy of this natural supplement as opposed to other synthetic diet pills available on the market. Otherwise known as 'Colforsin' or 'Coleonol' - forskolin is available online and in stores as a sought after supplement. Research suggests that forskolin triggers an enzyme called adenylate cyclase which, in turn, acts as a catalyst in the formation of Cyclic adenosine monophosphate (or cAMP) (1). cAMP plays an important biofunctional role as a messenger between cells and is known to activate a range of proteins, optimize cell functioning according to hormonal messaging, and maintain energy balance within the body. Forskolin is derived from the root of the Coleus forskohli plant, a member of the mint family, and has been used for many years in Ayurvedic medicine to treat a variety of ailments such as high blood pressure, chest pain, and asthma. Forskolin triggers the synthesis of cAMP, an important bio-messenger that activates proteins, ensures efficient cell functioning, and maintains the body's energy balance. So how does this relate to forskolin as a weight loss agent? Well, one of the cAMP functions is to regulate the metabolism of glycogen, sugar, and lipids. This is done by two processes (2). One is known as glycogenolysis, the breakdown of glycogen into a simple sugar known as glucose so that that the body may use it to produce energy. This process occurs in the liver and muscles of the body. The other process is lipolysis, the breakdown of fats into fatty acids so that they may be used as energy. This process occurs in the adipose tissue. So in short, cAMP stimulates the release of fat stored in the body to use up as energy. In theory, ingesting forskolin should result in a decrease in the fat content of the body without the need for physical exercise. To test this hypothesis, there have been various studies performed on animals which have shown favorable results. Even though the physiology of animals such as rats and sheep is close to ours, more research needs to be done. Some resources suggest that there is not enough solid evidence to support the notion that forskolin causes these processes. However, considering the aforementioned functioning of cAMPs, an increase in metabolic rate seems likely in theory. Cyclic AMP regulates the metabolism of glycogen, sugar, and lipids through processes known as glycogenolysis and lipolysis. In doing so, forskolin is said to stimulate the release of fat stored in the body to use up as energy. However, this may not necessarily imply weight loss as some resources claim that there is no direct link to the calorie deficit. However, it would appear that (in theory) forskolin should increase the metabolic rate which would then contribute to weight loss. Forskolin Weight Loss Efficacy According to Studies? Now that the theory of forskolin weight loss has been discussed, let us examine the potential efficacy according to scientific human studies. These results are impressive, especially since the men never took part in any physical exercise. Another study was completed in 2005 that focused on 23 mildly overweight women who were given 250 mg of 10% C. forskohli extract twice a day for 12 weeks (4). The results concluded that the women who were given the forskolin extract showcased no significant weight loss results but rather prevented weight gain compared to the women on placebos. This is likely owing to fact that the women on the forskolin supplements reported feelings of fullness. Feelings of less fatigue were also reported. The women in this test were not allowed to exercise and had to fast before giving test samples, otherwise, there was no control over what the subjects ate. It can then be said that when combining forskolin supplementation with regular exercise and a low-calorie diet, weight management, and weight loss, may be more effective (5). Human studies on the use of forskolin for weight loss showcased positive results. One study on obese males delivered pleasing results such as higher levels of testosterone, less body fat, increased bone density, and increased lean body mass. Another study on slightly overweight women did not yield such significant results, however, concluded that forskolin supplementation may support weight management. We conclude that when forskolin supplementation is combined with regular exercise and a low calorie diet, effective weight management, and weight loss, may be a potential result. What Do Forskolin Weight Loss Reviews Say? There are many forskolin reviews available online that are published by customers, product companies, and review sites which support the theory that forskolin helps support weight loss. 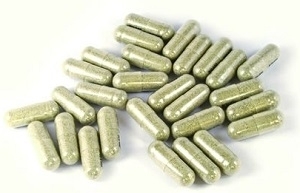 It is advisable to scan through the comments section of any product page as well as third-party selling sites such as Amazon to ensure that there is a majority support of customers that act as a testimonial for the claimed benefits of any supplement as not all products are created equally. When looking at the forskolin weight loss reviews of popular products such as shark tank forskolin there are an array of 5-star reviews that support forskolin's weight loss benefits. After watching programs like shark tank forskolin has been discussed many times on public forums such as quora. There are many positive forskolin weight loss reviews available online which concur with the theorized benefits of this supplement. Be it from customers, products companies, review sites, or public forums; there is an array of resources available for potential customers to thoroughly research their forskolin supplements before buying them. Some resources claim that an optimal dosage of forskolin has not yet been established, especially since there are many variables to consider with supplements such as the quality and concentration of the active ingredients (6). However, other resources state that the standard dosage of forskolin is 100mg to 250 mg (as seen in the human studies) of 10% to 20% forskolin twice per day. This is especially applicable for obese patients (7). When it comes to the associated side effects, we should bear in mind that little to no supplements are risk-free. It is considered the best practice that before you add anything to your diet or lifestyle, it is wise to consult a trained and qualified healthcare practitioner before making any changes. Your health should always be your priority and it's always better to be safe rather than sorry. If you already suffer from hypotension, forskolin may induce even lower blood pressure. This may result in side effects such as dizziness, nausea, fatigue, and cardiovascular issues in extreme cases (8). If you are on rapid heart rate medication for conditions such as tachycardia, forskolin supplements may counter the effects of this medication; leading to feels of a light head and pains in the chest. In more severe cases, heart failure may result. Taking forskolin supplements have been known to result in elevated stomach acid. Therefore, if you suffer from issues such as IBS or ulcers, this may exasperate your condition. As forskolin is known to be a vasodilator, it may further thin the blood and result in complications, especially if you are suffering from low blood pressure as it is. The exact dosage of forskolin is still up for debate, however, 100mg to 250 mg of 10% forskolin twice per day appears to be an effective amount. 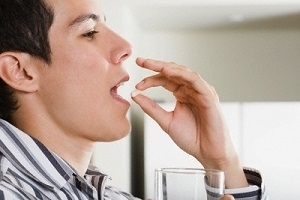 Just as you would with any other supplement, consult a medical health practitioner before consuming. 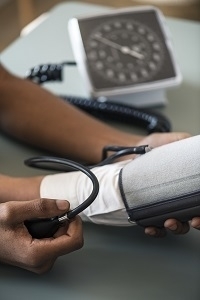 There are a few associated side effects and contradictions you should be aware of, especially if you have low blood pressure, an increased heart rate, gastrointestinal issues, or are on blood-thinning medication. Forskolin can help relieve, and even prevent, the breathing difficulty associated with asthma as the increased levels cAMP within the body acts as a bronchodilator to relax the muscles around the bronchial tubes. This supplement can reduce the intraocular pressure on the optic nerve within the eyes to help relieve the effects glaucoma (9) as well as treat and prevent diabetic retinopathy. There is a range of unexpected benefits associated with forskolin supplementation that include asthma relief and eye disease treatment to name a few. From examining what exactly is forskolin, we learned that its ability to increase cAMP levels within the body is the primary reason for the supplement's benefits within the body. We addressed the theory behind the claimed efficacy of forskolin weight loss products and noticed that the change in the metabolic rate may be the primary contributor to weight loss. This theory was then supported by two human studies which led us to believe that forskolin supplements combined with a low-calorie diet and regular exercise will result in effective weight loss management and even potential weight loss. As not all supplements are created equally, we touched on the importance of reading reviews first hand. The exact dosage of forskolin is still up for debate, however, 100mg to 250 mg of 10% forskolin twice per day appears to be an effective amount. We also covered the many other benefits that may be associated with taking forskolin supplements, which may further support your decision to add this supplement into your diet. But remember to always consult a medical health practitioner before adding a nutritional supplement to your diet.